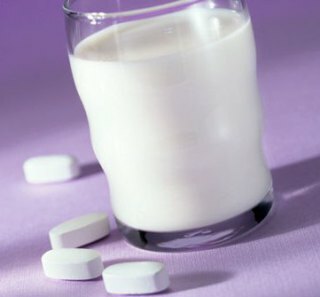 Calcium Supplement Study: Your Bones Or Your Heart? Calcium supplements and your heart: image via yourlawyer.comThough the majority of physicians recommend calcium supplements for bone strength, some to women over 40, but most just to postmenopausal women, there have been studies that indicate that such supplementation is not the best medicine for heart health. A recently published in the journal Heart looked at 25,980 participants over an 11 year period to obtain relevant data on heart attack and stroke among those who were between the ages of 35 and 64 during the period of the study. During the 11 year period, 354 participants had suffered a heart attack, 260 had a stroke, and 267 suffered related deaths. The levels of calcium taken by the participants from any source was tracked. Those who took predominantly calcium supplements as their source of calcium were 86 percent, or 2.7 times, more likely to suffer a heart attack than those who did not take any calcium supplements. The researchers from the German Cancer Research Center in Heidelberg, the Helmholtz Centre Munich in Neurherberg, and the Institute of Social and Preventive Medicine at the University of Zurich, Switzerland concluded that 'Increasing calcium intake from diet might not confer significant cardiovascular benefits," but calcium supplements "which might raise MI (myocardial infarction) risk, should be taken with caution." I think these are the most important factors related to our health, you give so many valuable suggestions.